In this notice “we” or “us” refers to Action on Smoking and Health (ASH) Wales, a charity registered under number 1120834 and a company limited by guarantee (company number 6030302) whose registered office is at 14-18 City Road, Cardiff, CF24 3DL. This policy describes how we collect information, the type of personal and confidential information we collect and what we will use that information for. This policy covers our website, our e-mail correspondences and our social media channels and includes, but not is not exclusive to, Choose Smokefree. This policy governs the privacy of users of the aforementioned and users are bound by these terms. We reserve the right to amend, vary and/or to withdraw this policy and it can be amended at any date, without notice. ASH Wales will only use information collected about individuals in the manner set out in this policy. We are committed to protecting personal and confidential information. This policy adheres to the EU General Data Protection Regulation (GDPR) regulations 2016. For the purposes of the Data Protection Act 1998, we are the data controller of your personal information. We reserve the right to amend, vary and/or to withdraw this Policy from time to time. In the event of any changes we will be responsible for determining the appropriate form that such notification should take. Personal information is any information about an individual from which they can be identified, such as name, address, and email address. Confidential information would be information provided on the understanding that it will not be shared more widely or for purposes other than agreed.  ASH Wales Cymru will collect personal and confidential information provided by individuals when they agree to provide this. For example: making a donation, participating in an interview or completing a survey, entering a competition on our social media pages, when booking a place for an event or contacting the charity for other purposes by mail, e-mail, phone or via the website. Personal and confidential information may be supplied by individuals themselves or by third-party partners involved in joint initiatives with ASH Wales. Where the information is supplied by a third party, ASH Wales Cymru will ensure that express consent is given to share this information with the charity and that individuals are aware of how the information will be managed and used. To the individual’s bank or building society and third parties who process donations and payments on our behalf. We may also pass aggregate information on the usage of the ASH Wales website, participation in events, results of research studies, etc. to third parties but this will not include information that can be used to identify individuals (i.e. will be anonymous). ASH Wales has organisational measures in place designed to protect the personal and confidential information of individuals. We will use all reasonable measures to protect information from alteration, loss or misuse. We will retain personal and confidential information from individuals for a reasonable period and for so long as the law requires. All information provided about individuals is stored securely. The charity will not be responsible for any personal information disclosed to third parties that does not offer a secure way to transmit information to the charity (e.g. email). Although the greatest care is taken with user information, we cannot guarantee that any data transfer is 100% secure and cannot guarantee the security of any information you transmit. You transfer data at your own risk. Please be aware that email and other electronic communications are not secure if they are not encrypted, and that your communications may pass through servers in several countries before it reaches us. We cannot accept responsibility for any unauthorised access or loss of personal data that stems from a cause beyond our control, and we cannot be held responsible for the actions or omissions of third parties who may misuse your personal data if it is unlawfully collected from this site. All information provided about individuals in printed format will be stored in locked filing systems and be available only to staff who require access to this information in order to undertake their work (e.g. event management, research studies, etc.). All staff of the charity are bound by the organisation’s policy on Confidentiality and breach of this policy or others related to information management and data protection could constitute a disciplinary offence. Manual destruction of files, records and computer printouts containing sensitive data and confidential information will be carried out in a secure manner (e.g. security shredding). Personal and confidential information provided by electronic means will be deleted from the charity’s systems on a regular basis.